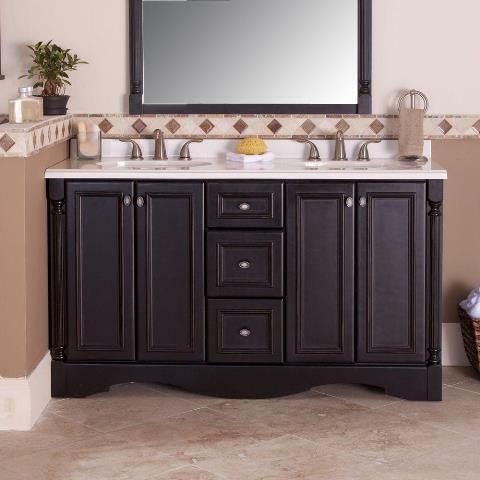 Bring a touch of classic style into your bathroom with the 60 in. Antique Black Valencia Cabinet. 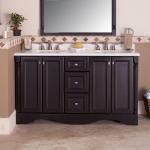 This vanity has a unique rich, dark finish that emits a natural warmth. The flat-panel drawer and door fronts present an elegance that is complemented by the antique nickel pulls. Plenty of storage space accommodates a multitude of toiletries and powder room supplies.